Zhejiang Yiwu International Mansion Hotel is invested with 160 million RMB by Yiwu International Mansion limited liability company, and is under the management of the Parker International Hotel Management Limited (Hong Kong). International Mansion is a luxury business hotel which is carefully crafted according to five-star hotel standard, combining the functions of catering, accommodation, conference and entertainment. International Mansion has a convenient transportation. 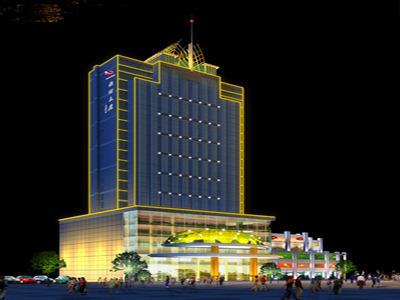 The hotel is located in Yiwu Binwang Road, adjacent to the Binwang market and Passenger Centre, with a distance of 0.5 km to Yiwu International Trade City and the International Convention and Exhibition Centre and 15km to the railway station and the Airport. 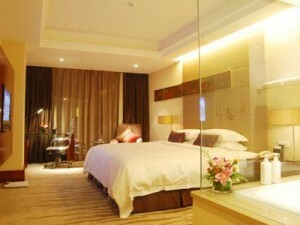 Yiwu International Mansion Hotel consists of 21-storey main building and a two-story basement, with a total construction area of over 4,000 square meters. Among the 268 sets of refined and comfortable hotel rooms, there are imperial grand presidential suites, executive business suites, VIP suites, women’s rooms, common rooms and so on. All these luxury rooms are differently designed with elegant and modern style. The interior of the hotel has Chinese and Western restaurants, executive lounge, lobby bar, luxury box and Square Garden bar. 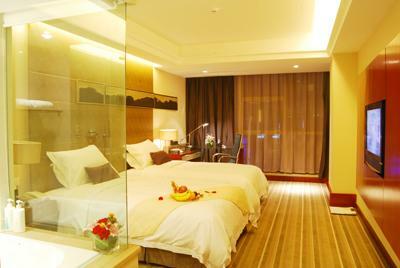 And it has a fully equipped conference rooms and VIP reception rooms, The hotel’s modern conference facilities is second to none in Yiwu. At the same time, it also has fresh and comfortable sauna bath , vibrant swimming pool.